We have two English Cream LH Males available! Puppies are $900 for AKC pet registration. The unique Dachshund always makes life interesting. Please see our Planned Breeding Page for our Upcoming Breedings. 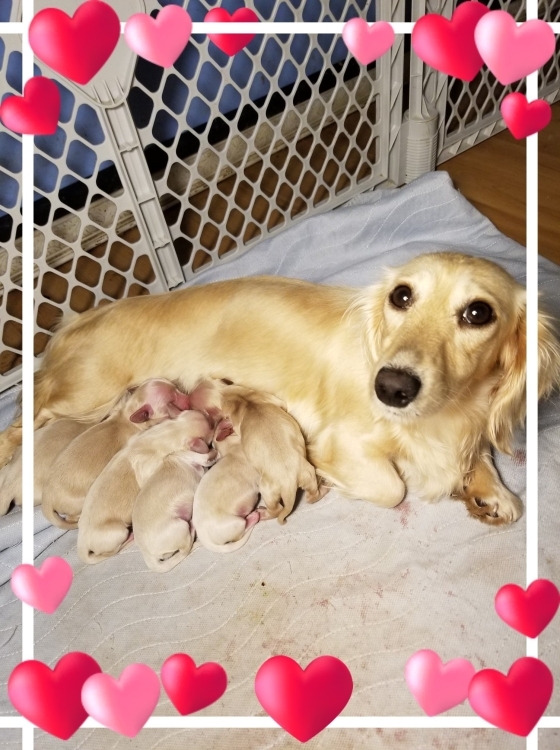 Please contact me for more info on our Dachshund Babies. First I want to Thank You for considering us the place to purchase your newest family member! If you are interested in a puppy or an upcoming litter. Please contact me to be put on our waiting list @ 228-209-4002.